In a clinic setting, treatments are offered for I hour or 30 minutes. In Melanie's home setting, timing is a little more relaxed. £65 is charged for a 1hr treatment at reCentre-health or in a home setting in Clapham South, with 30 minutes costing £40. You are welcome to call Melanie if you would like to talk this through. Additionally, treatments are offered in a home setting in Clapham South. Payment by cheque or cash, please. I love Reiki - that's the first thing. A committed, empathetic and non-judgemental practitioner, I have been offering Reiki at reCentre-health (formerly Muirhead Roberts) in Balham, South West London, since 2009. It gives me enormous pleasure to treat clients and friends, seeing the positive effects of this personal tool for healing and growth - an overall improvement in their quality of life through less anxiety, improved sleep patterns or reduced pain. I live and work in Clapham South and Balham respectively, and it was here that I first experienced Reiki a dozen years ago. I was struck immediately by the powerful effect it could have. Whether lifting a mood, changing a perspective or helping me to step back and observe a situation, I came to trust that Reiki would support my needs, no matter what they were - physical, mental or emotional. I hung up my corporate gloves when family life took over, adapting to project mangement and HR roles to match a changing set of priorities, and it continues to be a wonderful process to travel through my Reiki journey from Client to Practitioner. I am delighted and grateful that my initiations have been with Reiki Master, Tripuri Dunne - the same person who gave me my first treatment all those years ago. I became a Reiki Master myself in 2014. 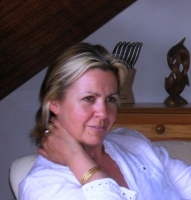 "I have been visiting Mel for regular Reiki treatments for the past 18 months. My job is very stressful but Mel puts me at ease and is incredibly warm, welcoming and has a lovely calming presence. I always leave feeling deeply relaxed and fully restored"
"I have spent the last few years building up my support systems and Melanie is an integral part of that system. She works with true sensitivity, generosity and integrity"
Melanie is delighted to talk to new clients before their initial Reiki treatment so go ahead and contact her through reCentre-Health's Reception Team, on her mobile number or by e-mail. Appointments can be arranged at reCentre-health's lovely therapy rooms in Balham, London, SW17 7AW or in a welcoming home setting in Clapham South. Melanie offers daytime and evening treatments throughout the week, including Sundays.Local home visits can also be arranged.